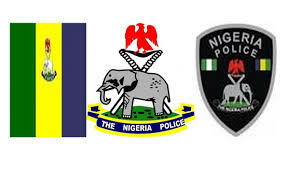 ABEOKUTA—Ogun State Police Command yesterday, arraigned a blogger, Emmanuel Ojo before an Ogun State magistrate court for allegedly writing a false report against the wife of Ogun State governor, Mrs Olufunso Amosun. Ojo was arrested last Saturday at Ibara area of Abeokuta, the Ogun State capital. The accused during the arraignment pleaded not guilty to the eight count charge brought against him in case number MA/430C/2015 . He was however granted bail in the sum of One Million Naira with two sureties in the like sum. Chief Magistrate Anthony Araba who presided over the case while granting the bail ruled that the two sureties must be residents within the jurisdiction of the court with landed properties. The judge also ruled that the sureties should submit the documents of the landed properties with the court and must also show evidence of regular tax payment to the government. In the charge sheet, Ojo was accused of publishing a false news with intent to malign, cause hatred against the wife of the Governor which was punishable under section 516 of criminal code cap 24 vol. 2 Laws of Ogun State of Nigeria, 2006.